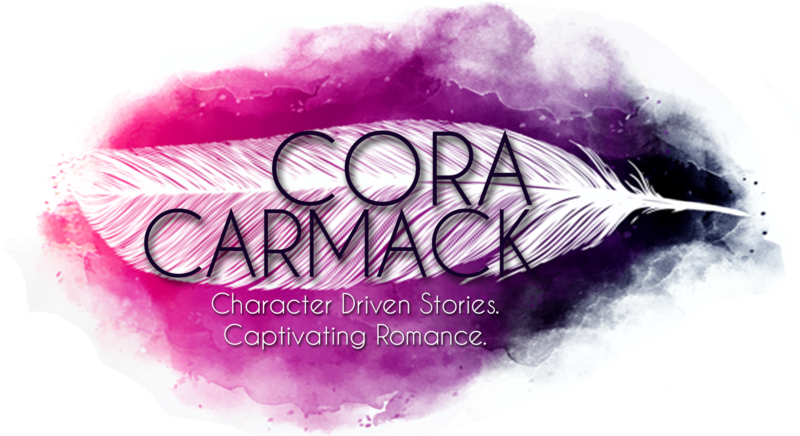 Cora Carmack / The One with the New Series! The One with the New Series! Yep. You read that title right… A NEW SERIES. I feel like we’ve been sitting on this news FOREVER. Though really, it hasn’t been that long. It all started back in June at the Harper Collins party at Book Expo America. I was hanging out with my editor, agent, publicist, a few other authors, and some bloggers. A few of us had grown up in Texas, so we got to chatting about how Texas is practically a foreign country. And talk turned (as it inevitably does with Texas) to football. Like how pretty much EVERY school in Texas has a hand sign associated with their mascot. My high school (like the University of Texas) was the longhorns (Hook ‘Em). My university was the Bears, and I remember vividly sitting in my orientation group being introduced to the “bear claw.” They took it seriously. You had to have the shape exactly right, and there was a special motion and a group phrase and everything. Sure, teams outside of Texas have these things on occasion, but in Texas, it is an art form. Then, of course, there are the mums. 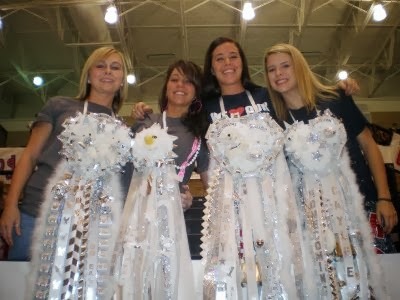 I didn’t realize until I graduated college and got out of Texas that everyone else in the world didn’t wear mums for homecoming. Don’t know what a mum is? You’re not alone. 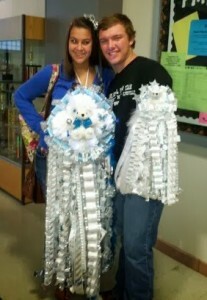 Essentially, they are these giant flower ribbon things that a date gives you for homecoming. And with mums… the bigger, THE BETTER. Again, Mums are an art form. It takes a lot of work (and many safety pins) to wear those suckers without them completely stretching out your shirt or causing a wardrobe malfunction. Then, of course, everyone hangs their mums on their wall as keepsakes. I had mums with stuffed animals and bells and christmas lights. One even played music. Such is the world when you grow up in Texas. In the midst of this conversation, I mentioned in passing that I really should write an NA version of Friday Night Lights because I am intimately familiar with that world. I grew up in small town Texas with a coach for a father. My dad coached football and basketball and track and tennis (like I said… SMALL town). For as long as I can remember, my life revolved around Friday nights. One of my earliest memories was tumbling down the bleachers at a game and busting up my knees. I remember being that girl in middle school who had to explain to all the other girls what a first down was. And my poor sports-obsessed father gave birth to three girls. So all of us had a first hand look at what it was like to be the coach’s daughter. Spoiler alert: It makes for some dating difficulties. Like when your dad makes a rule that whoever is dating you has to do push ups anytime a whistle blows. Fast forward a month and a half to mid-July and the RWA conference… I’ve just turned in a pass of Finding It, and my agent and I have turned our eye to what’s next. In true overkill-Cora fashion, I send my agent a massive email with like, oh, a dozen different book ideas, most of them series which means it was many more than just a dozen. (This is why I love Suzie. She’s the best, and didn’t even blink an eye). As it turns out, I didn’t even have to pitch the idea. She was already sold. Thus the Rusk University series was born. I’ve got three books planned with three swoon-worthy football boys. I cannot WAIT to introduce you to them all! But mostly, I’m excited to write Dallas’s story. It’s a unique life, living with football as a sibling. Sometimes you resent it. Sometimes you love it. But it’s always, always in your blood. Time for me to jump back into that world. 🙂 Wish me luck! Two things in Texas are cherished above all else—football and gossip. My life has always been ruled by both. The first book is currently set to release in May, and you can already pre-order the paperback! And the e-book! You can also add it on Goodreads! So excited!!! Can’t wait to hear more! I absolutely love your books. I’ve already made a note in my planner to pre-order when it is available. I’m from San Antonio so I know exactly what you mean. Sooo excited for this one! I love, love that series idea!! I cannot wait to read it. and p.s. I just finished FINDING IT last night. I think it may have knocked LOSING IT out of my fav Cora book. and p.s.s. I heard of ‘mums’ the other day for the first time. a radio host here in Arkansas is from Tx. and she mentioned wearing them. had no earthly idea what she was talking about until your post. Sic ’em Bears! LOL I’m from Texas, too, Cora, although I’m a Red Raider. 😉 This entire post has made me giggle – I got a mum for the birth of my first child. Anyway, I super excited for your new series!! So, Write, Cora, Write!! Congrats! With me being from Texas I can definitely relate! (Eat em Up Kats!) I went to college at Sam Houston State and on Saturdays, we quit everything to wear orange and watch the game! I can’t wait to read this one, it sounds like something I can lose myself in! Great post and congrats on the new book deal! As if I wasn’t dying already of excitement, that GIF of Tim Riggins just pushed me over Cora. OMFGSQUEEEEEEE!!! SHRIEKING. Give it to me nowwwwww. I’m 2/3 through All Lined Up and I LOVE IT!! I’m a Texas girl and spend my entire high school career living for football season in the marching band and as a twirler my senior year. My husband and I are high school sweethearts, and the fall ALWAYS brings back those memories….beginning nearly 19 years ago. I’m only 35!! Cora, I’m wondering your favorite reads/authors. Oh BTW, I totally know about the mums and garters!! My mum my senior year was so big, we pinned it a lot through my shirt to my bra straps!!! yourself to continue your great writing, have a nice evening!